Kenya holidays can be tranquil or full of activity. The two popular attractions – safari and beach offer immense opportunity to unwind. Additionally, there is the African culture, historical and ancient sites, museums, magnificent marine parks and Mount Kenya, which offers easy or challenging ascents with superb scenic beauty. Kenya is the heart of the African safari and all you have to do to get your feet wet is to take a Masai Mara safari. The Masai Mara National Reserve is the world’s most famous safari destination. 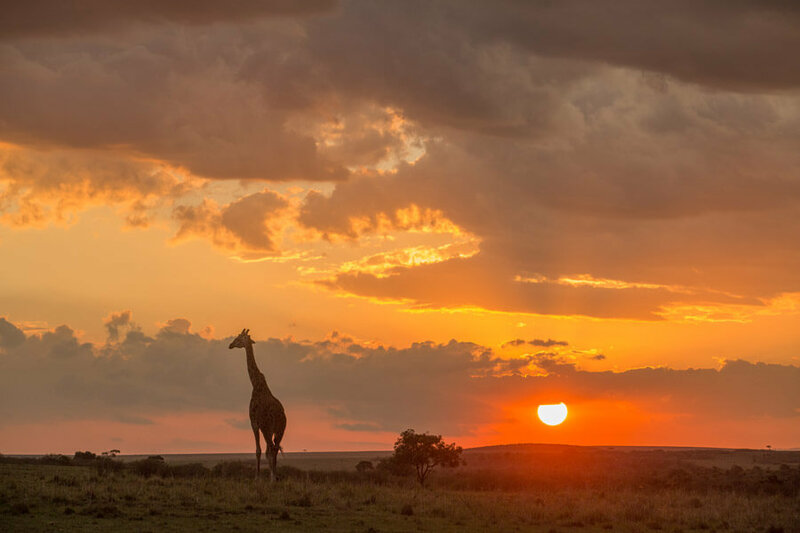 The park has constantly been voted Africa’s Leading National Park at the World Travel Awards. Visitors have reported seeing the Big Five (lion, elephant, rhino, leopard and buffalo) in less than 15 minutes of taking their game drive. The Mara is also home to the annual great wildebeest migration – the seventh natural wonder of the world, which takes place between July and October. Kenya has more than 54 national parks and reserves, each having its own uniqueness in terms of the wildlife, giving visitors different experiences. The Tsavo East National Park and Tsavo West National Park are the largest and have numerous wild animals, over 500 species of birds and beautiful geophysical attractions. Amboseli National Park (dubbed ‘Land of the Giants’ because of the large population of African Elephants) is a photographer’s paradise. It offers an abundance of wildlife and breathtaking views of Mount Kilimanjaro – Africa’s highest mountain. Other top Kenya safari destinations include Lake Nakuru, Lake Naivasha, Aberdares and Samburu. There are tailor-made tour packages that enable you to visit these and other destinations in Kenya and cross the border in Tanzania. Accommodation is readily available in hotels, safari lodges, campsites, apartments, rental villas, hostels and bed and breakfasts. See some of the best hotels in Nairobi. Kenya has pristine white-sand beaches that are lined with palm trees, coconut trees and world-class resorts. They have the bluest waters, rich marine life and year-round sunshine. Kenya holidays at the voast can therefore be tranquil or full of activity. If you want same quiet time I recommend Tiwi Beach on the south coast of Mombasa Island. Lamu is one of Kenya’s best kept secret. Life in the peaceful tropical island is lived at its own relaxed rhythm like it did centuries ago. There are a lot of fun activities to do at the coast e.g. kite surfing, wind surfing, waterskiing, kayaking, sailing, diving, snorkelling, sunbathing and also sky diving. Accommodation at the coast is cheaper than in Nairobi, the capital. Here are some of the best hotels in Mombasa. Self-catering accommodation is popular with many holidaymakers in Mombasa and there are many Kenya vacation rentals ranging from luxury to budget to chose from. There are tailor-made Kenya beach holiday packages that take you to top destinations at the Kenyan coast.